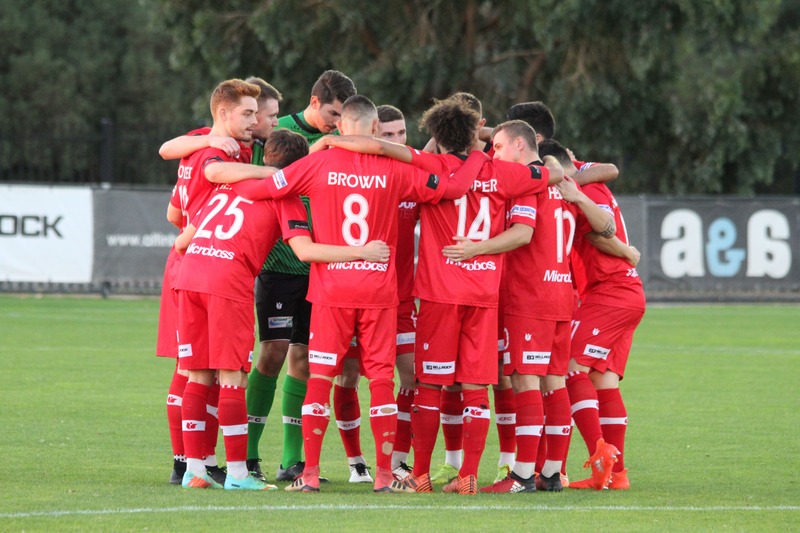 Friday night football returns to ABD Stadium this week, as Hume City look to bounce back after consecutive losses to Heidelberg United and Bentleigh Greens. Round 5 had plenty of positives for Hume City, despite the 2-0 loss to Bentleigh Greens at Kingston Heath Stadium. Coach Nick Hegarty was forced to make additional changes to his usual starting 11. Theo Markelis and Bradley Blumenthal both earned their first starts for the season, with Mitch Cooper still on international duty and Ersin Kaya being rested. It was the home side who kicked things off at ABD Stadium, with Theo Markelis dribbling through the entire Dandenong City defence, only for his shot to be deflected for a corner. At the 9th minute it was the home side who drew first blood, off another set piece by Steven Hewitt. Hewitt’s corner initially found Theo Markelis’ head which was parried by Kile Kennedy, but Bradley Blumenthal’s cross back into the box found Ben Bowler who headed the ball into the back of the net at the 10th minute. The home side almost had a second goal moments after the first, after Will Hendon’s ball found an onrushing James Brown who’s low cross was inches away from being deflected for a Dandenong City own goal. At the 26th minute, it was Brown who put the home side 2-0 up after starting and finishing off a Hume City counter attack. Brown found Bowler out on the left and Bowler’s incredible vision managed to find an onside Brown who calmly slotted the ball for Hume’s 2nd of the night, and his 5th for the season. Ben Bowler continued to look lively for the home side throughout the night and Bowler’s long distance shot tested Kile Kennedy who parried the ball away. At the 36th minute, the home side were high flying, after Matthew Lazarides’ long ball down the left side to an onrushing Bradley Blumenthal resulted in Blumenthal being able to muscle his way down the end line, then finding an open Steven Hewitt who slotted the ball through the legs of Kile Kennedy and put the home side up 3-0. At the 43rd minute, Steven Hewitt returned the favor to Bradley Blumenthal after his dribble created space for an open Blumenthal, who’s fancy footwork resulted in an absolute peach of a goal to put Hume City up 4-0. Half time couldn’t have come any sooner for Dandenong City, as the away side were without a true chance on goal. 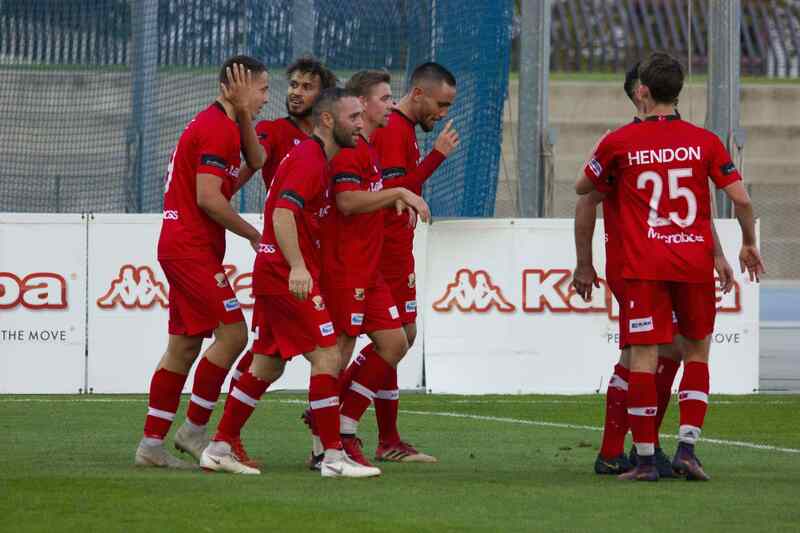 However, Hume City went into the break leading 4-0 and Nick Hegarty couldn’t have asked for a better start from his side, after dominating the scoreboard and controlling the tempo of the game. The second half almost saw the home side go up 5-0 at the 49th minute, after Blumenthal’s blistering pace saw him beat Kile Kennedy to the ball, but Blumenthal’s left footed effort found the side netting. 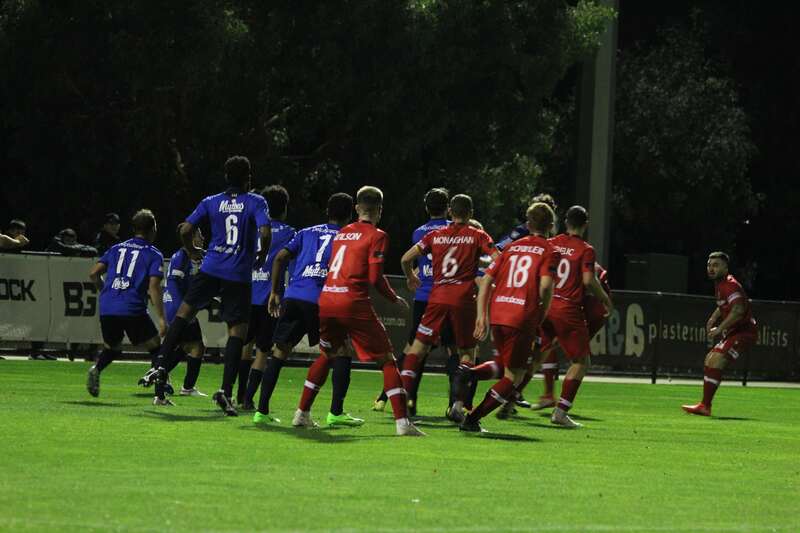 Dandenong City had a great chance to score at the 66th minute, but Umut Bozdogan’s defence was able to deflect the shot for a Dandenong corner. However, at the 75th minute, Dean Piemonte was fouled inside the box by Paul Wilson and earned the away side a penalty. Piemonte stepped up and calmly put the ball past Michael Weier to put the score line at 4-1. However, at the 92nd minute Paul Wilson was able to redeem himself after getting his head on the end of a Steven Hewitt corner, and put the home side up 5-1. The referee blew the final whistle at the 94th minute, to which ABD Stadium erupted with cheers for an astonishing performance by Hume City. Nick Hegarty couldn’t have asked for a better performance after two consecutive defeats. 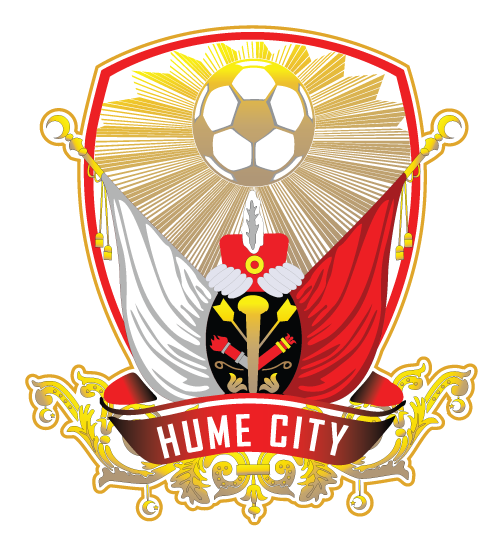 Hume City now have their sights set on travelling to JL Murphy Reserve to take on Port Melbourne Sharks SC, on Friday the 29th of March at 8:30pm.